Last week I wrote about how we use a dedicated “SWAT Team” to handle the inevitable unplanned work which threatens to creep in and disrupt our sprints. This week I want to talk about how we measure our SWAT Team, what KPIs we use and how we know whether we are doing a good job. There are hundreds of posts out there which discuss the merits of KPIs for developers and how the wrong ones encourage behaviour such as cherry picking or incorrect prioritisation. I agree with them entirely, that’s why it’s important that the measurements you do take should reflect the customer experience, rather than the team’s performance. For example, counting the number of tickets solved would be a poor metric because only quick wins would be looked at. Equally timing how long was spent on each ticket would also encourage people to rush in order to get better stats. However, recording how long a customer waited (from raising a ticket to resolution) measures the customer experience – which is, after all what we should be more concerned about! In my team we use two main statistics to measure how well we’re performing. The first is one I’ve mentioned before. Average Support Ticket Age is crucial for us because it places a numeric value on how long customers are currently waiting for our help. The second metric we use is Cycle Time, this is the time between a Ticket being passed to the team and it being resolved. In other words, how long is it taking to solve tickets passed to us This is taken as an average of tickets closed over the last six weeks. The reason we like these two values is not only that they give a customer’s perspective on our work, but because they balance each other nicely. If we measured Cycle Time alone then we’d get fantastic results by simply solving tickets as they come in but longer running and challenging tickets would be left behind. Equally by focusing only on the older tickets it’s likely we’re missing urgent tickets and quick wins which could be resolved quickly. It’s only by continuously improving both values do we provide a good service. You’ll notice that we don’t worry too much about the volumes of tickets. I find this doesn’t actually matter, the number of tickets being raised varies from month to month, from customer to customer, and will change as customers leave and (much more ideally) join us. If the team is becoming overloaded with tickets then this will be highlighted in the metrics we already have (as we won’t solve the tickets as quickly). A measure of tasks in the queue is less import than whether the team is keeping up with the required workload. A final point to make us where we start and finish timing. If you’ve ever read The Goal you’ll know that one of Eli Goldratt’s key points is whether you are measuring the right thing (he points out that efficiency increases do not necessarily produce an increase in profit). The decision you have to make with your KPIs (particularly when a ticket was opened) is whether to start your timer when the customer raises the ticket, or when it’s passed to your team. There is no perfect answer here, if you want to understand the entire customer journey then you need to look at Customer to Customer timings, however – if your team only plays a small part in that journey (as in our development team’s case as we have several support teams before us in the process) then your metrics will be less valuable if they include areas outside your control. Consider what you’re measuring, but never forget that you may only play a small part of the customer’s overall journey. Hopefully I’ve given you a few ideas? Do you agree with my views? How do you measure the performance of your support teams? If you have read The Phoenix Project (which I highly recommend you do) you’ll be more than familiar with Eric who introduces us to the four types of work. In the book Eric talks about how Unplanned Work is unpredictable and destructive as it can often push out planned work. I can’t even begin to count how many times have I’ve planned in projects and tasks only for a crisis to arrive and my sprint to fail! Managing a Product Backlog is an excellent way to handle three of the four types of work. After all, Agile Principles encourage us to collaborate with stakeholders, listen to feedback, and embrace change. The value of internal projects can be evaluated against other projects and then planned correspondingly and what is the backlog at all if not a prioritised list of Planned Work? It’s the infamous Unplanned Work which continues to disrupt our Sprints, break our commitments and lower our productivity. Over a few years I’ve tried a number of different approaches to handling the inevitable Unplanned Work. I’ve tried introducing slack into everyone’s sprint, only planning fifteen instead of twenty Story Points. I’ve tried allocating Support Tickets as they come in, assuming that the demand will cause our average sprint velocity to drop and the balance between Planned and Unplanned Work to find a happy equilibrium. It never does! The only strategy I’ve found to work is to completely isolate the Unplanned Work from the other three types. Create a specific team (in our company we call this the SWAT team) who will react to all incoming unplanned work and “pitch in” with other work when there isn’t enough to do (Parkinson’s Law pretty much guarantee’s that this never happens). The SWAT team handle the urgent, unplanned, and reactive work (often using a strategy like Kanban or Scrumban) while the rest of your team focus on delivering maximum value to the business (Sprints, commitments, and all the other wonderful concepts we hear about on Agile courses). That’s not to say they don’t fix bugs or take on internal projects, it’s that they work in a structured, planned environment in an effort to build solid releases and reduce the amount of Unplanned Work long term. Speaking of Parkinson’s Law if you do decide to create this buffer between Planned and Unplanned Work (and I strongly suggest you do) you need to consider what happens when the work expands to fill the allocated time. What happens when the urgent support demands of the business exceed the capacity of your SWAT team? Hire extra people? That would be nice! But I can tell you what you must not do – DO NOT pass the extra work over into your Scrum team. I’ve made that mistake before and I can assure you that it’s a very slippery slope which is nearly impossible to come back from. Once you start roping in extra developers you undo your good work and Sprints start to fail once again. I mention it between I’ve seen it happen! I hope I’ve given you some thoughts, I hope that my views on throttling the amount of damage your Unplanned Work can do help you safe your own commitments but I’d be delighted to hear your views – what do you to do safeguard your team’s productivity while meeting the urgent needs of the business? Post a comment below and let me know! 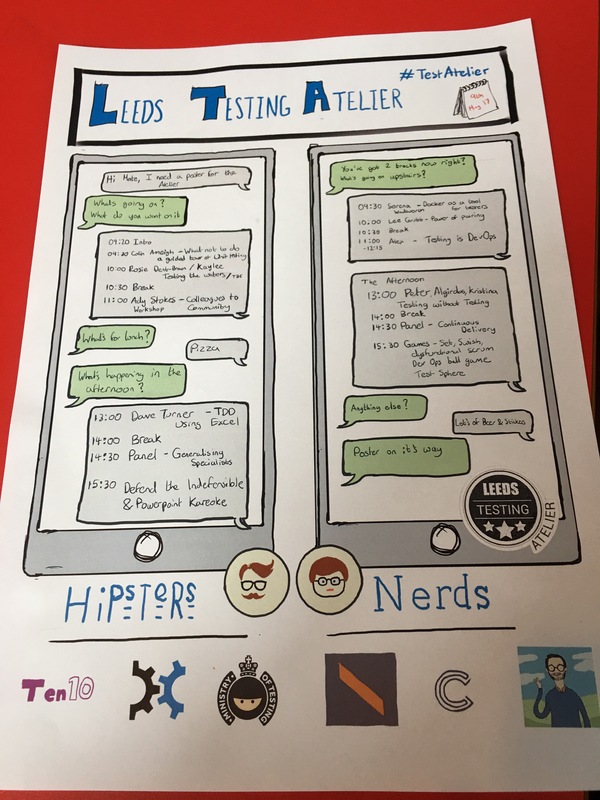 I managed to get a seat at Agile Yorkshire this month, I’ve missed a few of these recently partly due to other commitments but also the sheer popularity of these events. 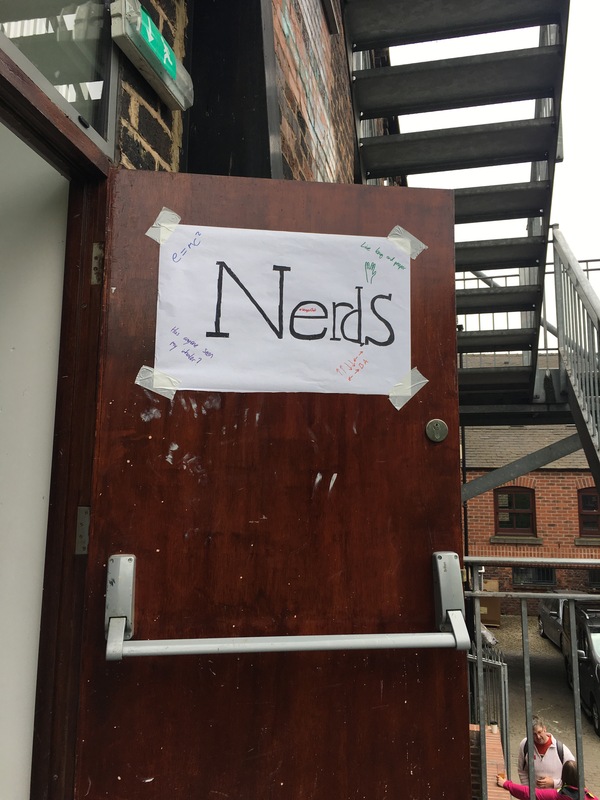 Royd (from NewRedo) organises and coordinates these evenings, this week he’d arranged for Chris Cheadle and Sean Craig from NHS Digital and John Le Drew who runs The Agile Path to speak to us. Chris and Sean went first, they spoke to us about an event they’d run a little before Christmas. They’d called it Firebreak, during a two week period almost the entire organisation downed tools and worked on “whatever they wanted”. 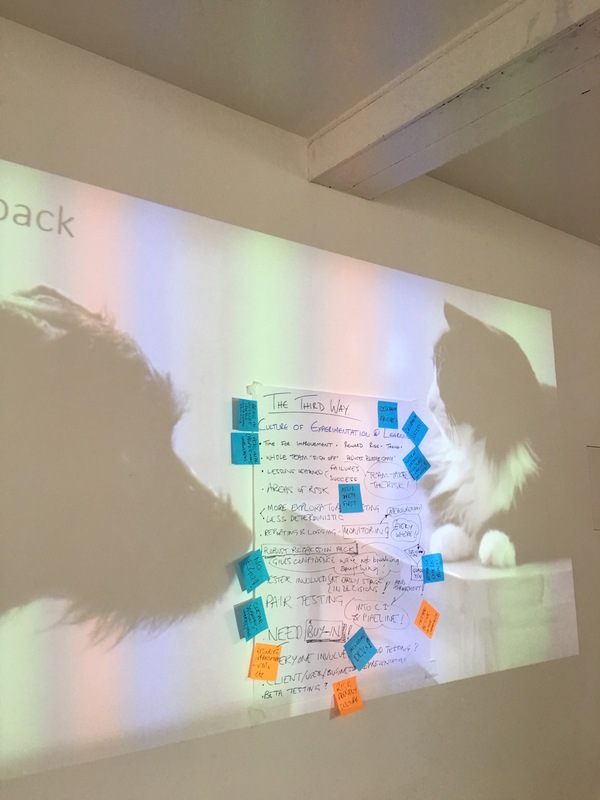 They’d started with almost a kickstarter approach, people posted ideas on postit notes and their colleagues pledged their time – once a project was fully resourced it was banked and it would go ahead. I love the idea of this sort of thing, really opening the doors to let teams work on what they want – what they feel wild make a difference. Anything from process improvement to a proof of concept or a piece of server maintenance. It certainly seemed to be a positive experience for the NHS team, some of the projects saved thousands of pounds on licence fees! For me this feeds into the fundamental requirement of trust which Patrick Lenconi described in his book Five Dysfunctions of a Team. He postulated that without trust (or in John’s words safety) teams would not challenge each other and discuss ideas. John had a few examples of this, my favourite was a role play exercise where three characters were so determined to avoid taking the blame for pressing The Big Red button which would overload the nuclear reactor they refused to cooperate to press the three buttons which would save them. Contrived? Perhaps… but it makes the point that if you are scared to look foolish then you’ll naturally be less confident to make suggestions. Something which did niggle me was the idea of accountability, as managers we need to hold our directs responsible for their performance but this is challenging without undermining that feeling of security. In Lenconi’s book he encourages the team to hold each other accountable, finding the balance between a blame culture and safe, self motivating team is a difficult balance to find! I’d certainly recommend listening to John if he’s speaking in your area. At the very least I’d say every manager should hear his views about engagement and workplace stress! I for one will be listening to his podcast. It was a great night, as I’ve said before I’d always suggest Agile Yorkshire if you’re a Leeds based geek! When hiring for a new developer its extremely common to ask them to demonstrate their technical ability. Often this is a practical test to be done at home and then sent into the hiring manager. It’s a nice idea, you get to see the candidate’s unhurried work, get a feel for their skills and potentially ask about them in a face to face interview later. It’s far harder for a bad developer to write good code than it is for them to learn a few answers about relational databases or solid principles. However, I believe this approach is flawed! To explain why I want to describe the recent experience of a friend of mine, an outstanding developer who recently applied for a development role. The technical test was presented to him and he completed it, he’d had a rather manic week and so determined not to miss his deadline so he worked late I tot he night. He confessed to me later that he probably spent somewhere between ten and twelve hours on that piece of work! The company rejected him with a series of bullet points over design choices without ever giving him the chance to explain why he’d made those decisions. So let me ask you this, do you think friend is ever going to waste his time with one of their roles in the future? Do you think I, knowing his experience would apply for one of their jobs? What about the rest of our friendship group? My point is this – any hiring manager will tell you how scarce good development resource is. By demanding eight, ten, maybe even twelve hours of our candidates’ time and then throwing it away, that’s (in my view) arrogance. What’s more it doesn’t actually tell you very much! Sat at home what’s to stop someone googling the question, posting something on Stack Overflow, or asking a friend to complete the test for them? How do you know that the candidate’s work is their own? So what do I recommend instead? I’m hoping to start recruiting over the next week months and I intend to send code review tasks out to my candidates. Why? Will my approach work? I don’t know, we’ll find out! What are your experiences with practical coding challenges? Do they work?